I’m no stranger to the Hotel Du Vin in Cambridge, having recently visited this central boutique hotel just a few months ago for their French Market brunch table, which was truly delicious. This is a venue I’ve used many times previously, for my afternoon tea etiquette events and even my pop-up supperclub for Eat:Cambridge food festival (“Dine Like Downton”) a couple of years back now. The only thing that ever let them down here was their afternoon tea menu, which seems to yo-yo from good, to bad, to good, to bad. It, in experience has never been consistent when it comes to the menu which is a true shame as the venue itself is superb. In turn, I truly want their afternoon tea to be something really quite special to match. I was recently invited back by the new team here at this hotel, who on arrival were nothing but polite, professional and keen to make myself and my fellow diners within the hotel bar comfortable. It made a change for me actually, as I was seated down in the basement, where, tucked in the alcoves is a gem of a bar, with plenty of nooks and crannies to hide in for an hour or two – perfect! 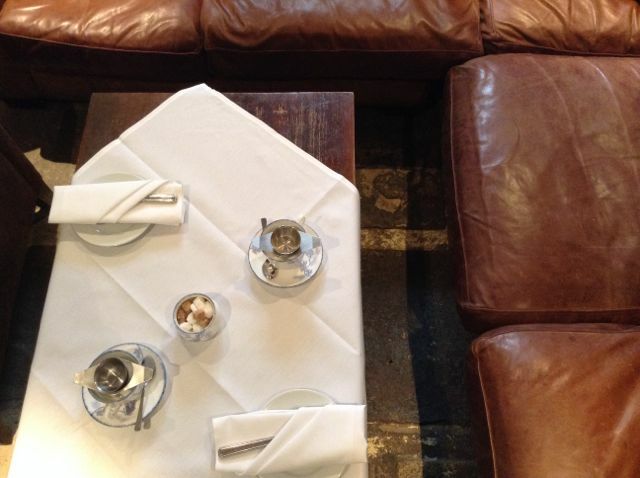 Before the day of arrival, I had booked myself a table for one, so I was in a little alcove with a cosy leather sofa to curl up into, but the perfectly laid table with white, starched linen made me sit up tall and ladylike instead. I wrapped my knees in their soft linen napkin and enjoyed my food as I teach my own students within my afternoon tea etiquette lessons, of course. I was surrounded by vintage wine bottles, bowls full of champagne corks and antlers, making me feel as if I was somewhere a little more in the “country” rather than a few hundred yards from Cambridge Market Square. I was offered tea or coffee, of which I chose a loose leaf Darjeeling tea to drink before my food arrived. I do love their teacups within this hotel, they are very unusual and a striking design that works against the simple white afternoon tea plates. My afternoon tea tier stood proud, the waitress set it down in front of me and proceeded to go through everything I was about to sample. 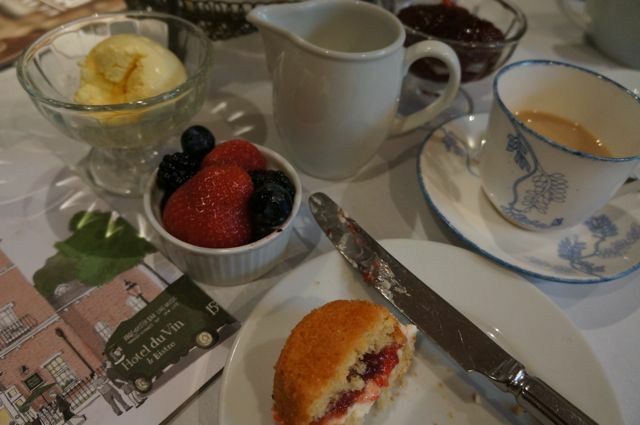 She reeled off the finger sandwich fillings through to the garnish, she had been well prepared and was knowledgeable on what she was serving, I was impressed, so many afternoon tea venues don’t provide this service nowadays from experience. The finger sandwiches consisted of cheese & pickle (lovely and strong tasting cheddar cheese), smoked salmon, cream cheese & cucumber, ham & mustard – all of them had beautiful flavours and didn’t skimp on the filling, they were the perfect finger sandwiches, even garnished beautifully. 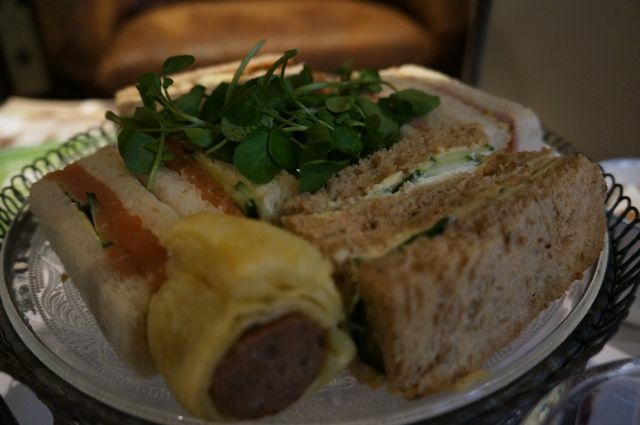 What I do seem to moan of lately, a lot, is the lack of savoury options on an afternoon tea tier, but not here. They also served warm, buttery pork & herb sausage rolls with flaky pastry that crumbled as you bit into – I could smell these as my tier was served to me, they were divine. My favourite element by far. In all honesty, I could have eaten the savoury all day long, it was all fantastic and I couldn’t fault it one bit. But, as well know, the scones should (and were) be served warm, so you can’t mess around when it comes to trying out this next course before it’s too late… But, this is where I was a little disappointed. The scones were rock hard, almost like biscuits. I could smell and feel that they were warm on serving, straight from the oven, however, when it came to breaking them apart I simply couldn’t. Not even a knife could cut through these beauties, it was a little disappointing as there were lashings of strawberry jam & clotted cream to lather onto a plain or fruit scone – but none of these choices were edible. I did feed this back to the hotel and they are currently looking to adapt the recipe, so I’ll be sure to pop back for a taste test when they do, I’d absolutely love to see them get this right. They had also prepared some walnut bread and fruit loaf, both also having been in the oven just a little too long. I always thought when I came here for my previous events that they don’t need to serve these two pieces, they never have got them quite right and I feel they should re-think offering them, perhaps replacing with something else a little lighter – but, of course that’s just my opinion. It doesn’t matter though, as the redeeming treats were fabulous, the freshly baked, individual Victoria sponge was perfectly light & yellow in colour, smothered in buttercream and strawberry jam in the middle. I had two of these cakes and I took one home for later, it was just too good to leave behind. Let’s keep going shall we? I had a miniature fresh fruit bowl and a refreshing cream trifle which reminded me of my mums own trifle when I was a kid, happy memories as I spooned this down. Phew, a heck of a lot of food. For me, the highlight of this afternoon tea were the sausage rolls, I could have eaten an entire plate of these, a great addition to an afternoon tea. I didn’t finish off everything, as there was a lot of food on this tier, so I requested a doggy bag and they passed this mini test with flying colours. Never have I received my leftovers in a tin foil shaped handbag, true class all the way for Miss Sue Flay, I tell you! 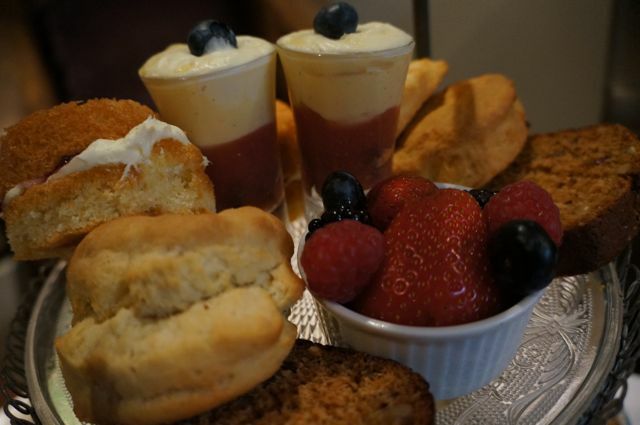 You can enjoy a simple cream tea (£8.50), a full afternoon tea (£18.50), champagne tea (£24.50) or hire the venue for a private celebration or meeting at the Hotel Du Vin. 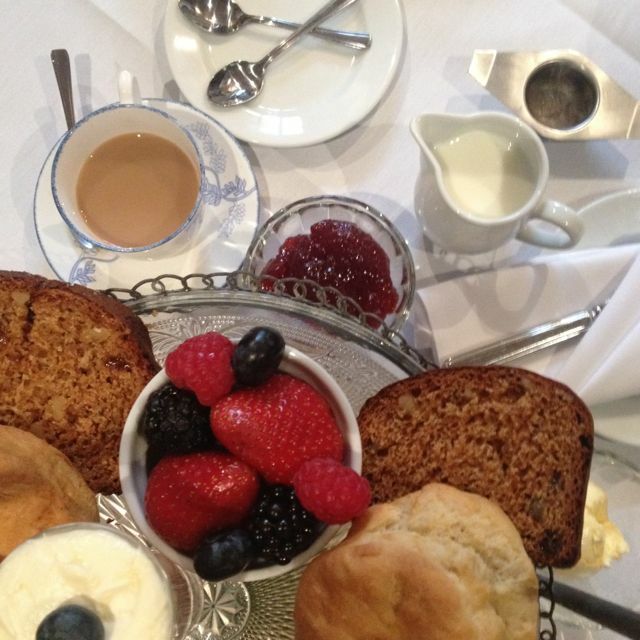 You can walk in on the day for afternoon tea, but booking is advisable. They can also cater for many dietary needs with a little warning. 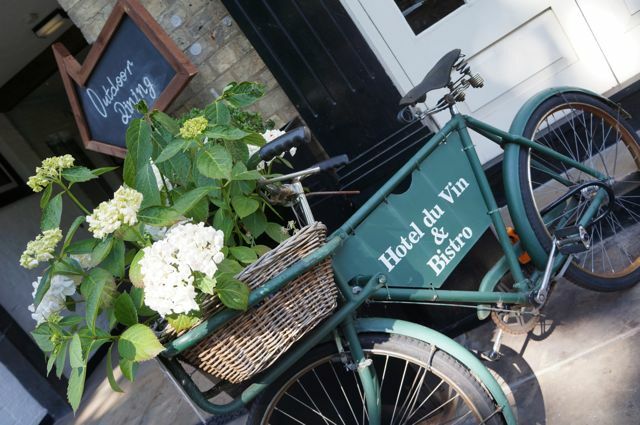 The new team at Hotel Du Vin is growing within this Cambridge hotel and they will be adapting the afternoon tea over the coming months, I’ll be sure to share their news and updates on the menu through social media as they do. 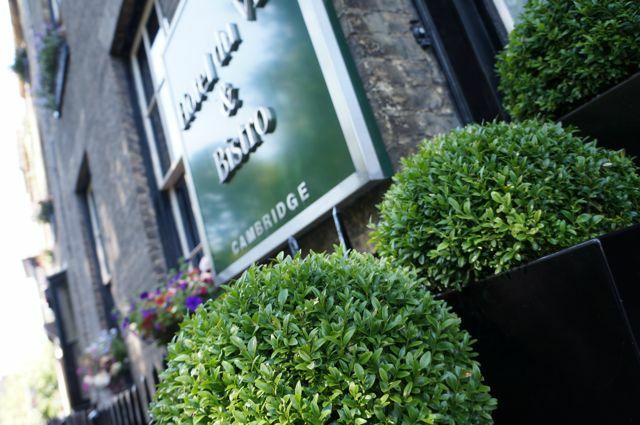 If you are supporting local events such as the charity tea party with Addenbrookes Charitable Trust (ACT), the Cambridge Arts Fair or Cambridge Film Festival this summer through to the Autumn, then you’ll be sure to see the Hotel Du Vin team getting involved throughout. 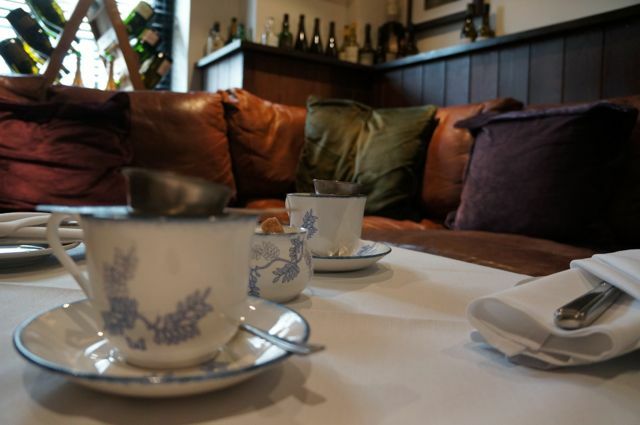 Have you been to the Hotel Du Vin for afternoon tea recently? What did you think to their offering? Please note – This visit was complimentary following an invitation from the team (I actually frequent this venue as a paying guest on a regular basis, so I’m a bit of a fan girl). I am in no means obliged to blog or write about their offerings, but I simply choose to share with my readers, should I enjoy the experience. The service team that work on the day or duration of my visit are not aware of my reasons for visiting, to enable a fair review. I had the exact same experience with the scones 2 years ago (! ); could have hammered nails into the wall with those beasties! I’m so willing them to improve – I find the HDV brand otherwise excellent. 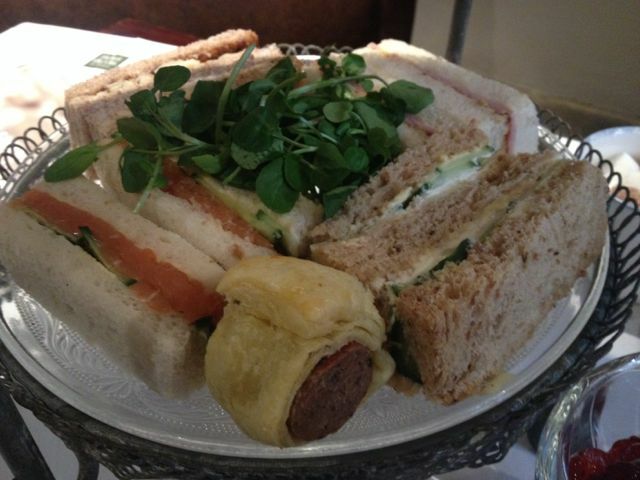 Maybe it’s just Cambridge HDV afternoon tea…?